The earliest references to the harbour at St Andrews date to the 14th century, but the estuary of the Kinness Burn was undoubtedly used before that as a natural harbour in a rather treacherous bay. Today the harbour is home to a few fishing, research and pleasure craft and has regained some of it’s picturesque nature. This is a shot of the bridge that crosses the harbour at the lock gates between the inner and outer harbours. 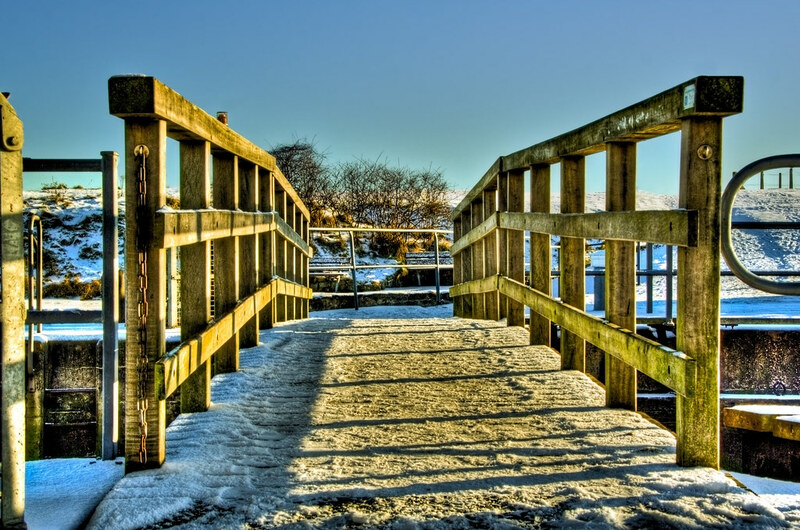 This entry was posted in Scotland, St Andrews and tagged Bridge, fife, hdr, ice, scottish, skreid, snow, St Andrews. Bookmark the permalink.